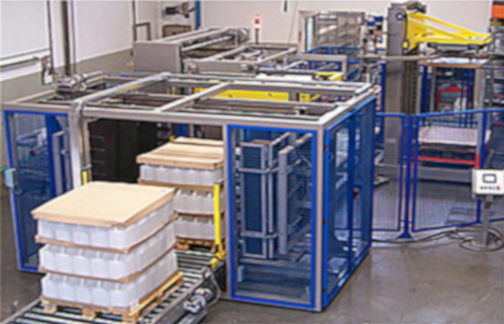 The Depal-L series Depalletizers are designed for lifting complete layers of containers from a pallet and placing them onto a conveyor for landing and transferring to downstream machines. The lifting system can be with inflatable membranes, vacuum plate of magnetic tape. Models available are Depal-L 40 for medium and low production speed and Depal-L 130 or higher performance (up to 130 layers/h) . 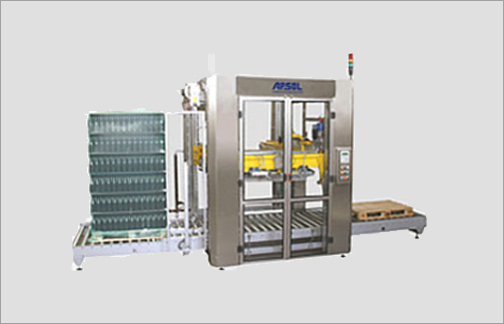 Typical applications are for depalletizing bottles, jars and plastic containers.